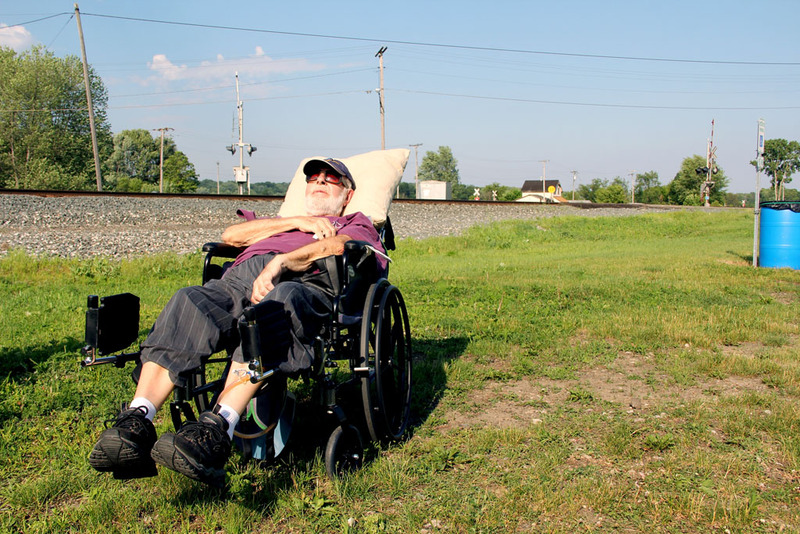 Richard Jacobs pauses just before returning to the nursing home after the last railfan outing of his life. He would die nearly two weeks later. 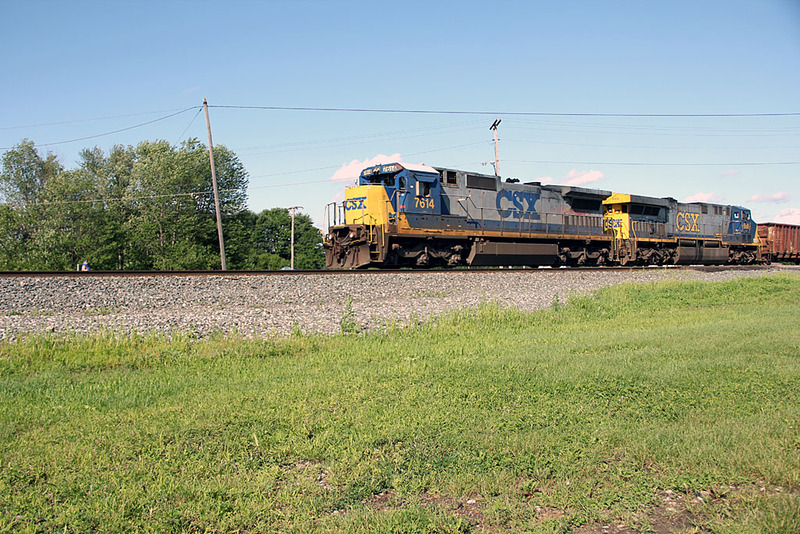 A westbound manifest freight cruises through Sterling on a late Sunday afternoon on the day of Richard Jacobs’ funeral. Richard Jacobs wanted one last outing in Sterling. It would not be an easy one to arrange. Cancer was eating away at his body and he could not move on his own. Nonetheless, he arranged for a specially-fitted van to take him to Sterling on a Wednesday for one more outing with the Loopers, as the group that gathers there weekly calls themselves. He made sure that I knew about his planned outing and I said I would be there. Given Jake’s condition, it wasn’t a sure thing that he would be able to make it. The date was set for Wednesday, June 10.